2Wheel Chick: Should cyclists really be banned from dual carriageways? Should cyclists really be banned from dual carriageways? Recently there has been a furore over plans by Highways England to ban cyclists from using the main road that leads into the city of Hull, the A63. For those who don't know the area, it is the road that the M62 leads into when the motorway comes to an end. 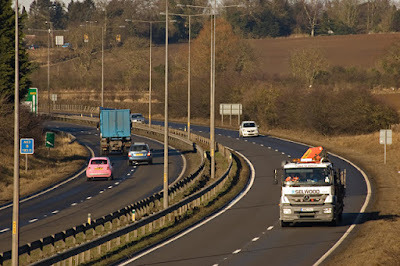 It is a dual carriageway with an initial speed limit the same as the motorway, 70 mph, and then later reduces to 50mph. In the last five years there have been six collisions involving cyclists, including one fatality in 2013 along this road (compared with 297 collisions involving vehicles over the same period). 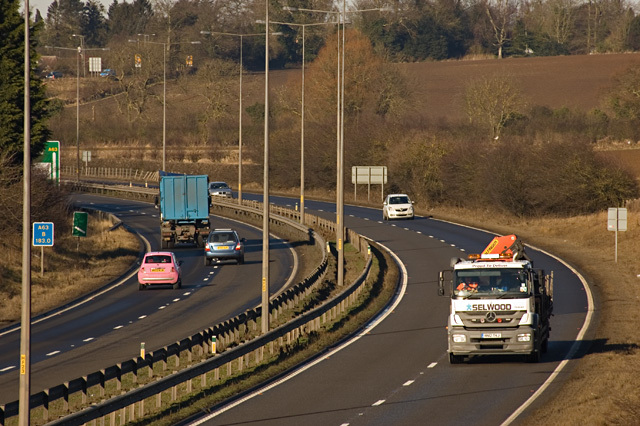 On that basis Highways England has deemed the road to be dangerous for cyclists and has proposed a Traffic Regulation Order (TRO) prohibiting them from using this stretch of road. This proposal has received the support of Humberside Police and Hull City Council. The 15-mile stretch of the A63 within the proposed banning area at North Cave includes the whole of a 10-mile time trial course, known as V718. It is quite a popular race venue, particularly as club cyclists say it's the fastest time trial in the country, so lots of potential for personal bests. I guess riding in the slipstream of the various trucks as you go on a slightly downhill stretch will have that effect! The V718 course has welcomed Olympic champions such as Joanna Rowsell and Bradley Wiggins, as well as Commonwealth champion Alex Dowsett, who at one point held the national 10-mile record. Naturally, cycling organisations and club cyclists are outraged at the prospect of losing the opportunity to ride on this road. Indeed Cycling Time Trials, the governing body for time trial races have put out a statement opposing the proposal. Opposition has been echoed by Cycling UK, as well as British Cycling who put out a statement jointly with Welcome to Yorkshire. As well as protestations from other cycling groups including Hull Thursday Road Club, Cycling Weekly magazine commented on how a decision to ban cyclists from this type of road would be a "terrible move". Furthermore, for local residents in the Welton, Melton and Brough area, including priest and blogger Graeme Holdsworth who cycle between these villages to get to work, a cycling ban would significantly affect their travel options for getting to work. The TRO is currently in a consultation phase and objections to it must be received by 19th February. While there have been various protestations on social media, this does seem to be a hot-potato subject as opinion isn't all one-way traffic. A number of cyclists have expressed concern at the notion of cycling along a road that may as well be a motorway, given that it is merely the M62 in all but name. The road contains trucks making their way to the port in Hull, as well as folks travelling in the opposite direction, to Manchester and other parts of the country, all travelling at speeds in excess of 50 mph, and probably significantly higher. I regularly drive on this road when I travel to Hull or East Yorkshire and I must say it really isn't a road I would want to be cycling along. When I see cyclists on the road I immediately think they are on some sort of a death-wish! On a few occasions when cycling on local trails or country lanes I have had to either cross the A63 or ride along it. Thankfully there was a segregated cycle path on the part I was on. On one Saturday afternoon I pootled along the cycle path parallel to the trunk road at the same time as local cycle racers with numbers pinned on their backs zoomed past me during a time trial. I did not envy them, particularly as it was a windy day and they wrestled their bike into a straight line while traffic rumbled by. Now, that is my impression of the road. As keen a cyclist as I am I avoid the A63 as much as possible. Having said that, I think that cyclists should still be free to ride on that road if they wish, and I think that it would be a sad precedent if a popular event like the V718 time trial were lost because Highways England preferred to ban cyclists rather than put in place more safety measures for cyclists. It is worth noting that a TRO was approved on an 8-mile section of the A19 dual carriageway near Teesside in 2015. In 2016 a local resident in Leatherhead submitted a petition to Surrey County Council proposing to ban cyclists from the A24 dual carriageway between Dorking and Leatherhead. The Council rejected the proposal on the grounds that a ban would not support their overall strategy of making cycling inclusive within the local authority. This road, which was part of the London 2012 Olympics route for the cycle race, and is part of the route of the Ride London cycling events has benefited the local economy by bringing a lot of cycle touring to the area. On publication of the news of the proposed TRO in the Hull Daily Mail, its readers were polled, asking if they thought cyclists should be banned from the A63. One thousand people were surveyed, and 77% of respondents replied "yes" while only 23% were opposed to banning cyclists. Those wishing to send in their objections to the proposed Traffic Regulation Order have a wee bit of time. Latest news: Deadline has now been extended to March 12th. Objections to the proposed ban should be made via hard copy. However, you can do this via Cycling UK and they will prepare the papers to send in your objection.